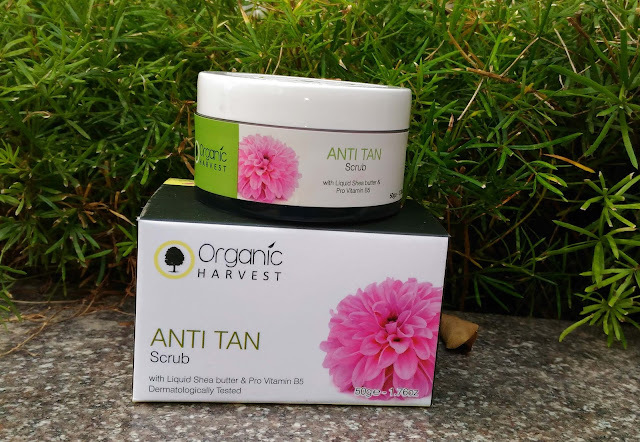 Packaging – Organic Harvest Anti Tan Scrub is packed in clear plastic round tub. The product is also sealed with a white lid. 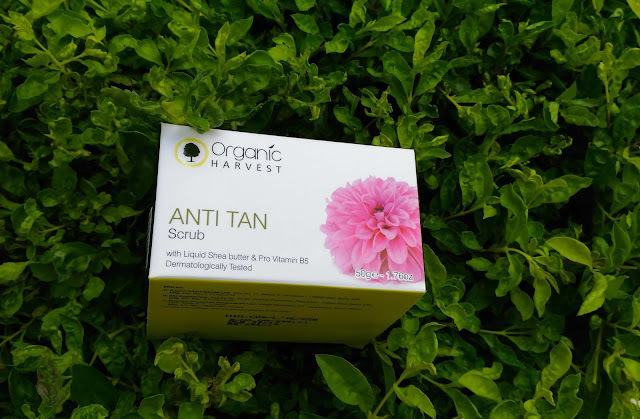 Once you open and start using the product it is difficult to carry as I can feel some stickiness outside the jar. I won’t call it travel friendly after opening it. Packaging look good though. 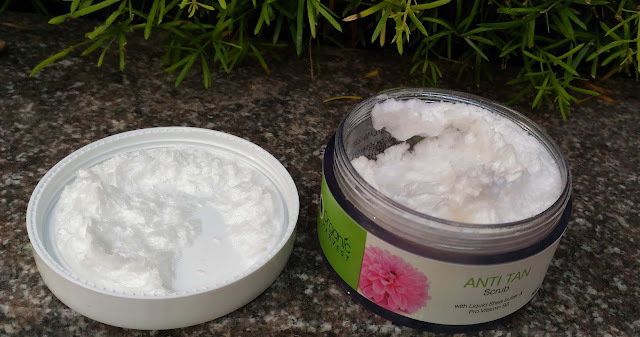 Ingredients – Liquid shea butter, pro vitamin B5, Scrubbing beads, olive oil, clove essential oil, camphor essential oil and perfume in cream base, free of parabens, mineral oil and animal ingredients. I hope this review was helpful, stay tuned for more.